.My journey with the Blues began about eight years ago with just a casual interest, then came the desire to own one. Of course since I was raising traditional French Bulldogs, I knew that owning one would lead to breeding them. I worked closely with Dr. Harkey researching the dilute gene (d) which changes the coat color from black to blue. I spoke to several veterinarians at different seminars and, of course, spent hours on the internet reading it all..... the good the bad and the ugly. I found that Blue French Bulldogs were not a new color, it's just a rare dilute gene (d) that's not a defect. 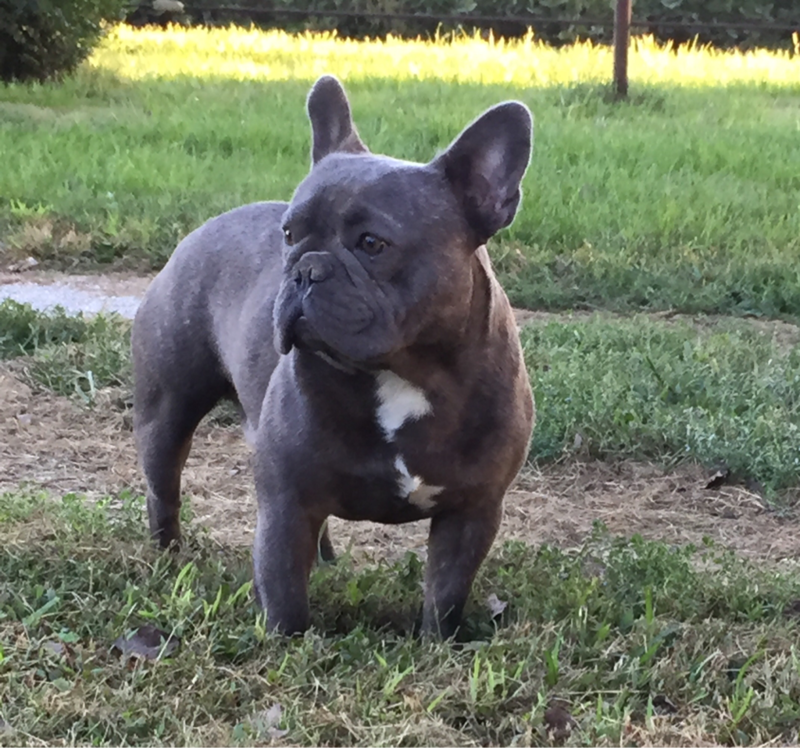 In my research I could not find any proven documentation that the blue colored French Bulldogs had anymore health issues than the traditional colored French Bulldogs. 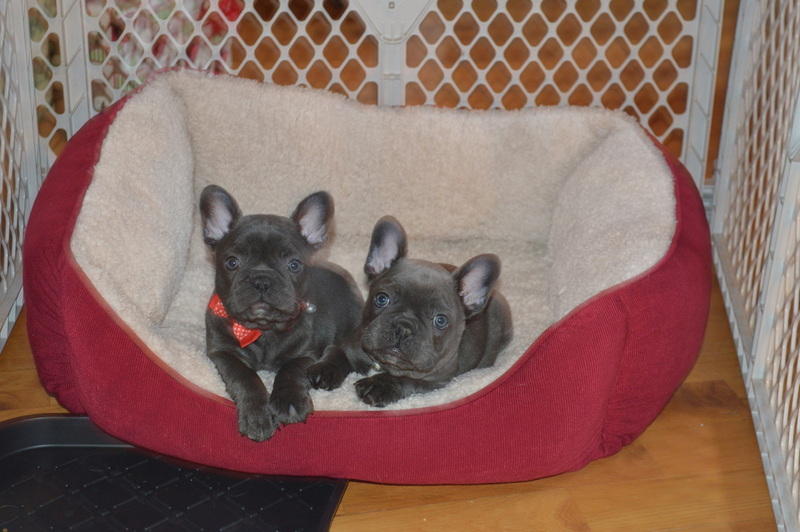 All along my desire was to raise happy, healthy French Bulldogs. So after six years of researching and waiting, in March of 2014, Larry purchased Pin Oak's Indigo Mo for me as a birthday present. Mo was 8 weeks old and had very reputable breeding lines in his pedigree. 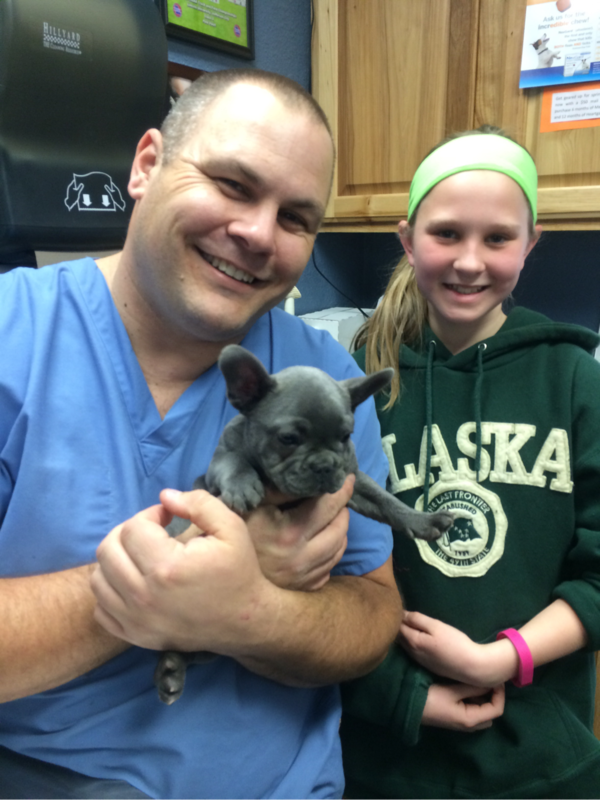 Around the time Mo turned a year old and was about ready to start becoming a Daddy, I met Dr. Phillips who has an extensive background in Blue French Bulldogs. Dr. Phillips has studied the genetics and has a wonderful understanding of the blues. In December of 2014 I was very fortunate to purchase Pin Oak's Holly Berry and Pin Oak's Hooey from her. 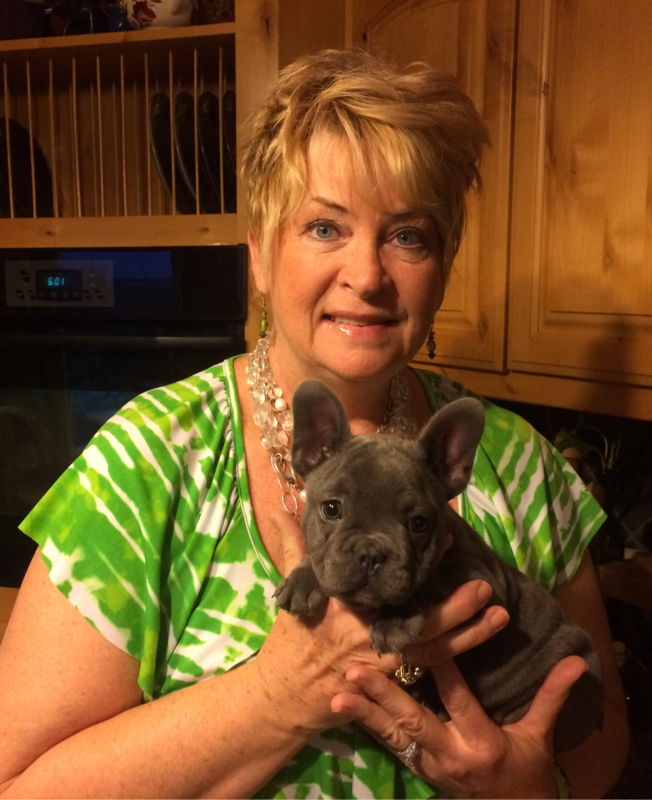 This began a very fascinating breeding program with Blue French Bulldogs, and what fun!